Donald Trump's stunning victory over Hillary Clinton drove record cable viewership on Election Night, drawing in bigger audiences than their network rivals. CNN had the night's largest audience from 8 pm to 11 pm with 13.3 million primetime viewers, according to Nielsen. This number was up 43% from Election Night in 2012 and was the most watched Election Night in cable news history, Nielsen said. Coming in behind CNN was Fox News, which brought in 12.1 million viewers and MSNBC, which brought in 5.9 million viewers Tuesday night. Both CNN and Fox News topped NBC, which had the largest audience for a broadcaster with 11.1 million viewers. ABC came in second place while CBS nabbed third. NBC's viewership was down roughly 7% from four years ago. 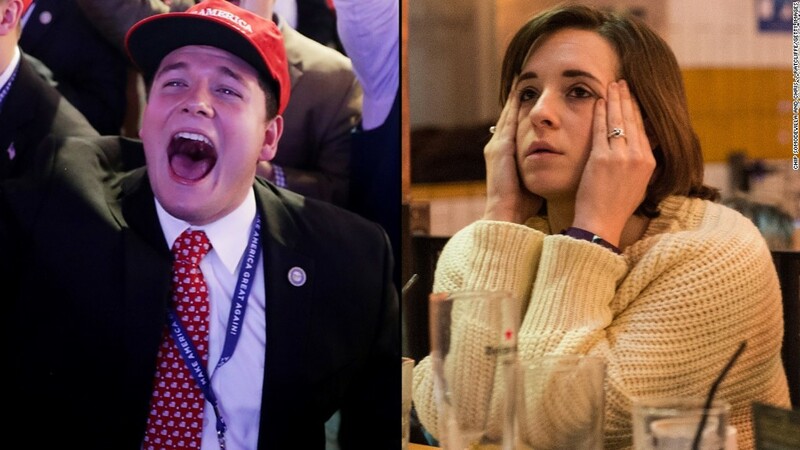 As the election went late and into Wednesday morning, Trump's victory became more certain leading Fox News' largely conservative audience to stay up to see the results. From 11 p.m. to 3 a.m., Fox News nabbed 7.7 million viewers beating CNN and MSNBC. Trump was declared president around roughly 3 a.m. ET. In terms of demographics, CNN was first in primetime with those aged 25 to 54 and topped the combined audiences of Fox News and MSNBC with Millennials (18 to 34 years old). All together the four broadcast networks and three major cable networks brought in a combined election night audience of 71 million viewers. The night was a record for digital viewing. CNN Digital recorded is biggest global audience ever on Election Day with 27.7 million live streams of coverage. CBSN, the CBS News digital streaming service, had 19.1 million streams.